Everyone wants the perfect commercial website, right? So let’s look at how you can get one. First, as with all things, it has to be branded well. You also need to create the traditional chunks of info, provide logical navigation, and start to tell the brand’s story. Second, and this is huge, don’t try to make it do everything. Unless you’re selling tee shirts via e-commerce, this site isn’t going to close one sale for you. The best it can do is drive inquiries. Let’s all say it together, “The best my website can do is drive inquiries.” Too many brands have bad websites because they try to get it to do everything a sales person would do. It can’t. Accept it. No. Over the years we’ve learned that static information on a website isn’t high on the index rating for search engine spiders. Saying ‘LEMONADE’ a thousand times on your homepage might make you think it’s helping with ratings for your lemonade company, but it’s not (more on that later). And it just looks stupid to the web visitor. A great website has two audiences: A human audience and search bots. Too many brands place a higher priority on the bots, and the result is a cumbersome website that tries to do and say everything. People don’t like cumbersome websites. Ever. And what’s the point of driving traffic to your site with keyword manipulation if people don’t stay? That’s why you have to build a site that appeals to human beings first, and bots second. Don’t worry, telling your story a little bit on a website will satisfy the bots. After all you’re not going to be noticed by Google for TIRES when you sell LEMONADE. Good copy will take care of the bots. But more than good copy for the bots, good strategy for the humans will help your site more. You see, a sound strategy drives web traffic to very specific places on your site. Places where you can connect on an intimate level. Places where people feel compelled to reach out to you. “The best my website can do is drive inquiries.” And inquires lead to sales. Strong, compelling calls to action in tactical locations on your website (note: not everywhere) helps turn qualified web visitors into hot prospects. And please, don’t hammer your visitors with SIGN UP NOW popups. They’re people, not cattle (sorry, Hubspot). Want a great site that satisfies both your audience and Google? Identify with your audience and give them a narrative that makes you irresistible. Third, the most important thing you need for a perfect website is a blog. Frequent, relevant, on-brand blog content is both SEO gold and the best way for your audience to get to know you. Remember when we were talking about the spiders that index your site? Right, well they’re always out there trolling the internet reporting back to the mothership about changes to your website. 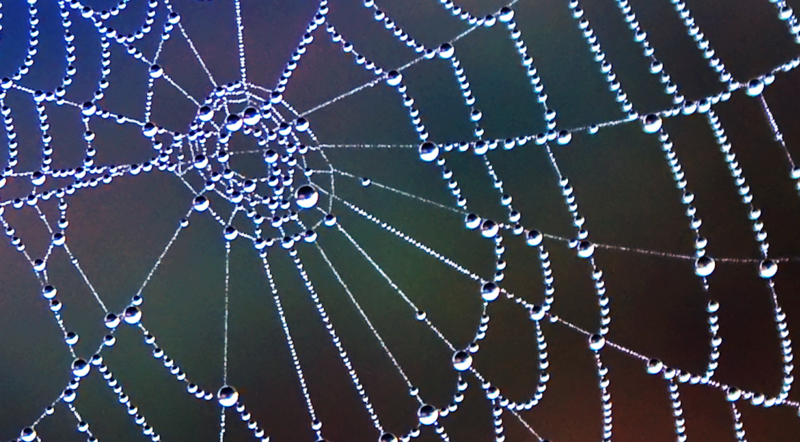 Static homepage copy might be loaded with all your relevant keywords and phrases, but when it doesn’t change, there’s nothing new for the spiders to report back to the mothership about. Blogging is always new. Spiders eat blog content up. It ranks high in the algorithm. Only, you can’t just throw posts out there that say the same things over and over. You might be winning the “frequency” part of the algorithm, but it will fail in the “authenticity” part. Yes, ironically, authenticity matters to the bots. It started back in the late 2000s when Google noticed that people didn’t like bogus returns on their search queries. When people go to bad websites, they’re more likely to try Bing or Yahoo the next time they search. And since Google makes more money than God from advertising revenue based on search, they want to ensure that their customers (people searching) are happy. As a result, Google is trying to make their search algorithm more human. So you see, these spiders want to see content that will help them understand you in the most authentic way possible. Sure, you might be talking about LEMONADE in every post, but it’s the “how” that matters. Especially for the human part we’ve been talking about. The more people see how passionate you are about your damn LEMONADE, the more compelled they are to think of you the next time they crave some. You may have a shiny new website, but if you’re not blogging, you’re not “doing SEO” right. Last year Sir Martin Sorrell, CEO of WPP, was quoted as saying, “Google search is demonstrably the most effective means (to sales).” And he’s backing it up with a 6 billion dollar investment in Google in 2016. Proper SEO increases your organic reach. Also, the people who visit your site will be qualified prospects. Prospects who get to know you and reach out to you. No, blogging (and SEO) isn’t a quick fix for sales. If that’s what you want, traditional advertising is probably your best bet. But when your billboard or print ad goes away, it goes away forever. It’s unsustainable. On the other hand, every blog post you publish goes on working far into the future. A post you publish today could still be relevant to a prospect a year from now. And thanks to Google, they’ll be able to find it. Well branded + good copy + blog. Simple, right? Do these things and you’ll be well on your way to a perfect website. Plus, when you combine your site with a smart digital ad strategy (Adwords/Facebook/etc. ), and effective social media engagement and distribution, before you know it you’ll be generating sales without the use of traditional advertising.